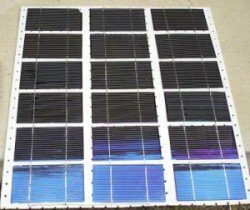 Solar power rebate programs can significantly reduce the cost of residential solar power systems. As for solar energy incentives, there's a good chance you are eligible to take advantage of solar energy rebates since they are available in more than 55% of states. 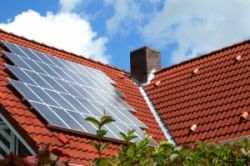 Utility rebate programs account for more than 75% of the solar rebates available. This is followed by State rebate programs which account for about 20% of the solar rebates and Local rebate programs handling the final 5%. 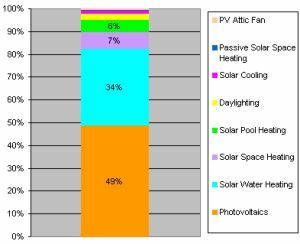 Looking at the graph, you can see that the majority of solar rebates in the United States are for photovoltaics (49%) and Solar Water Heating (34%). 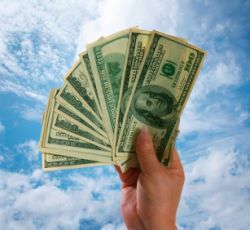 Solar energy rebates are offered by the utilities and state and local governments in order to promote the installation of solar energy systems. With so many solar rebates available, you should definitely check to see if you are eligible for any of them. You can find out if you are eligible for any solar power rebate programs as well as the specifics about each one by searching the Database of State Incentives for Renewables and Efficiency (DSIRE). You can find free information about renewable energy and energy efficiency incentives administered by federal and state agencies, utilities, and local organizations in the DSIRE solar incentives database.